How can I search by part number? How do I verify if the part number selected will fit my vehicle? I'm unsure if this fits my vehicle, how do I find and verify fitment of this part? 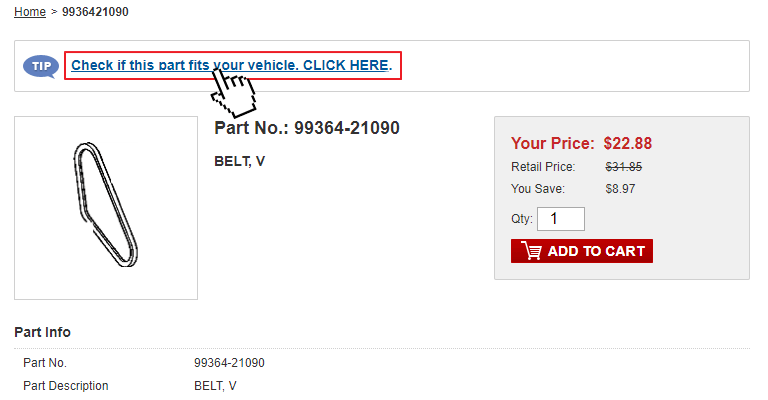 Enter the part number and click the to search for your part(s). 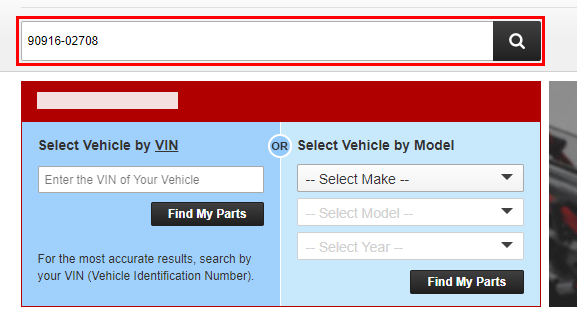 Click the "Check if this part fits your vehicle" link to verify fitment by your VIN or Model. Follow the "Check if this part fits your vehicle" link to find fitment, then enter your VIN or Model to verify the part fitment.